In 2013, concerned people, organizations and companies in the U.S. and around the world helped move environmental causes forward. From new legislation to the protection of habitats and ecosystems, here is a sampling of U.S. environmental achievements in 2013. A new study showed that a solid majority of Americans accept the reality of global warming and are calling for action on climate change. U.S. President Obama launched the most ambitious government wide climate action plan in the history of the nation. In the summer of 2013, Obama said, “As a president, as a father, and as an American, I’m here to say we need to act.” The President’s Climate Action Plan includes limiting pollution from power plants, new standards for energy efficiency on public lands, doubling renewable energy, and working on leading efforts to forge international action. The EPA’s new standards to reduce emissions from U.S. power plants are of great importance as these plants produce approximately 40 percent of American greenhouse gas (GHG) emissions. The U.S. joined the U.K. and the World Bank in a decision to limit financing to coal power plants around the world. The U.S. Treasury Department indicated that except for some rare circumstances, it will not finance any new coal projects. A study published this summer suggested that global warming may have slowed somewhat over the past 15 years. The observed slow down may be at least partly attributable to a global phase out of potent greenhouse-trapping gases called chlorofluorocarbons (CFCs). The eradication of CFCs is attributable to the Montreal Protocol. This finding can be interpreted as evidence that international agreements can be effective at reducing climate change causing GHGs. Hydrofluorocarbons (HFCs), another GHG have largely replaced CFCs and these are also being phased out. President Obama and his Chinese counterpart, President Xi Jinping, forged a new historic agreement that outlines critical steps both nations will take to end the use of HFCs. Other world leaders are following suit. People are getting involved with events designed to raise awareness and increase actions that will help reduce our environmental impacts. One such event was Earth Hour. On March 23, 2013, Americans joined hundreds of millions of people around the world who switched off their lights for one hour to show their commitment to the planet. American cities are among the 60 cities worldwide that are participating in the 2013 Earth Hour City Challenge. 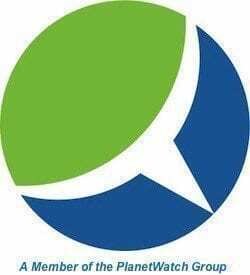 This challenge involves quantifiable actions to reduce greenhouse gas emissions, expand renewable energy, and/or increase energy efficiency. The U.S. is also taking action in support of native people’s land and animal stewardship. One such initiative is the first tribal national park for Oglala Sioux in South Dakota’s Pine Ridge Indian Reservation. This park will more than double the number of Bison stewarded by the tribe. Responsible forest management and trade practices were adopted by International Paper. This brings the number of companies and communities involved in the WWF’s Global Forest & Trade Network to 200 worldwide. In Alaska, Royal Dutch Shell shelved a plan to drill for oil and gas in mammal-rich Beaufort and Chukchi seas in 2013. In July, U.S.-based multinational Coca-Cola renewed an agreement with the WWF through 2020 that will help to conserve the world’s freshwater resources and measurably improve Coca-Cola’s environmental performance across the company’s value chain. This includes agriculture, climate, packaging and water efficiency impacts. President Obama is working to address wildlife crime including poaching and trafficking around the world and in Africa in particular. The U.S. Fish and Wildlife Services in Denver crushed six tons of illegal elephant ivory tusks, trinkets and souvenirs. This event highlighted U.S. intolerance to ivory trafficking and wildlife crime. Here is a summary of the Sierra Club’s list of 10 clean energy success stories in 2013. The American Electric Power announced it would add enough wind energy to power 200,000 homes in Oklahoma while providing substantial savings to customers. Governor John Hickenlooper of Colorado signed into law new legislation that will double the state’s renewable energy standard. Under the new law, 20 percent of the state’s energy will from clean sources. In Minnesota, comprehensive legislation passed the state legislature that will boost the state’s solar electricity from 13 megawatts (MW) to 450 MW by 2020. This represents an increase of more than 1,200 percent. Facebook announced that its Altoona, Iowa data center will be fully powered by wind by early 2015 due to a 138 megawatt wind farm in Wellsburg. 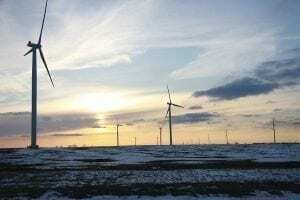 Nebraska’s huge wind potential is being tapped after Governor Dave Heineman signed progressive wind energy legislation. The Nevada state legislature passed legislation to retire the Reid Gardner coal-fired power plant and bring an end to the importing of coal power from Arizona. The state will also expand local clean energy development. California’s growing solar industry reached a major milestone with more than 150,000 homes and businesses with rooftop solar installations. Environmental groups and Georgia’s Tea Party teamed up to create the Green Tea Coalition. The group pushed for the Georgia Public Service Commission to approve Georgia Power’s proposal to retire 20 percent of its coal plants and add 525 MW of solar power to Georgia by 2016. The Long Island Power Authority is investing in 100 MW of new solar power on the island, and they have plans to add an additional 280 MW of renewable energy. This is the single largest investment in renewable energy in New York history. New York City also announced a 10 MW project at Staten Island’s Freshkills Park, once known as the world’s largest landfill. Maryland is moving forward with clean energy legislation known as the Offshore Wind Energy Act of 2013 and Prince George’s County Council voted to require renewable energy in all new and renovated governmental facilities. The Wilderness Society is at the forefront of efforts to protect forests, parks, refuges and Bureau of Land Management (BLM) lands. Here is thier summary of their environmental success stories for 2013. President Obama designated 5 new national monuments in March. California’s Pinacles National Park, was upgraded from national monument status. Washington state legislature passed a bill that protects 50,000 acres of land in the Teanaway River Valley, east of Seattle. Sensitive areas in the National Petroleum Reserve-Alaska gained protection from oil and gas drilling when the Department of the Interior issued a final management plan that will protect 11 million acres of “Special Areas.” The BLM also announced a strategic plan to clean up more than 130 abandoned oil and gas well sites. Utah’s red rock lands were protected by a federal judge who struck down a management plan that prioritized off-roading over Utah’s wildlands. Yosemite National Park was removed from a logging bill after a public outcry. In Montana a bill introduced by Sen. Max Baucus (D-MT) is moving forward. The bill will add 67,000 acres to protected areas in that state’s eastern fringe of the existing Bob Marshall and Scapegoat Wilderness Areas. The Arctic National Wildlife Refuge is safe for another year despite repeated efforts by Governor Parnell (R-AK) to launch seismic testing to search for oil and gas in the refuge. All three of Parnell’s attempts were rejected by the Interior Department. Taken together, these victories give us reason to hope that we are capable of acting more responsibly to defend the planet for future generations.